Ali Fitzgerald's new book is a memoir in comics and a memoir of comics, and it shows what a gift the medium is for people in need of self-expression. 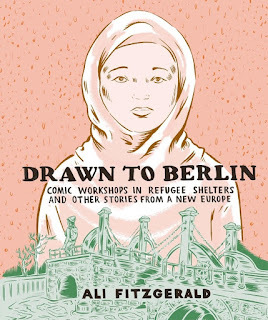 Since 2015, Fitzgerald has taught comics workshops in Berlin to refugees arriving from Eritrea, Afghanistan, Syria, and elsewhere, and her experiences with this project provide the through-line for the stories in Drawn to Berlin. Expanded from this short comic that first appeared at Vox.com, they address many connected ideas: the complicated history of refugees and other immigrants in Berlin, the relationship of a journalist to her subjects, good and bad instances of politicized visual culture, the insidious nature of trauma, and more. On a formal level it's an easy read, but, at the risk of being reductive about what the book offers, this is what makes it a useful tool for comics librarians. Fitzgerald's art and writing depict scenes of comics-making with empathy and clarity, showing how the benefits of comics-making transcend the maker's formal skill-level, though she wisely resists an easy "comics saved their lives" moral. While this isn't an instruction manual for running workshops or a formal study of art therapy (since I haven't yet heard the phrase "comics therapy"), it provides effective anecdotal evidence that comics-making should be fully integrated into library programming and outreach. 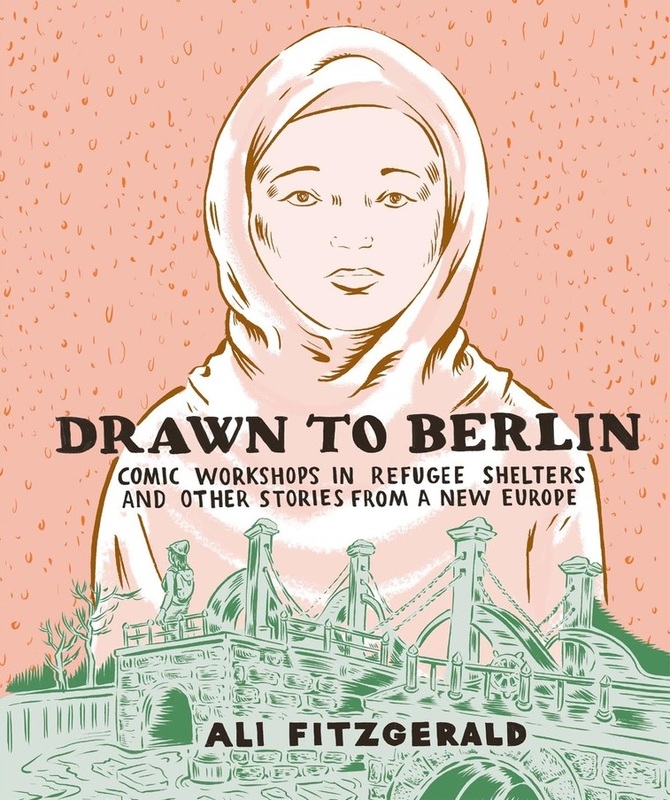 Drawn to Berlin is a quick (if emotionally weighty) read, and every comics librarian should add its lessons and insights to their advocacy toolkit.